Have you ever watched Christian McCaffrey warm up for a football game? It’s bizarrely systematic, a series of unfamiliar movements that don’t make sense to most onlookers. Even for those who played sports, including many who played at a high level, what McCaffrey is doing looks foreign. It’s not exactly the ol’ hurdler’s stretch followed by toe-touches followed by a light jog or jumping jacks. An “old school” warm up it is not. It is, however, the science of speed. Not everyone is fast. But everyone can get faster. At least that’s the belief at Landow Performance, the sport performance training center that seems to be the center of the universe in the months leading up to the NFL Combine. 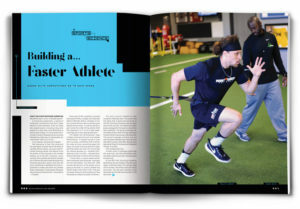 Loren Landow, who recently earned the coveted job of Denver Broncos Head Strength and Conditioning Coach, spent more than 20 years perfecting a replicable formula engineered to make just about any athlete faster. 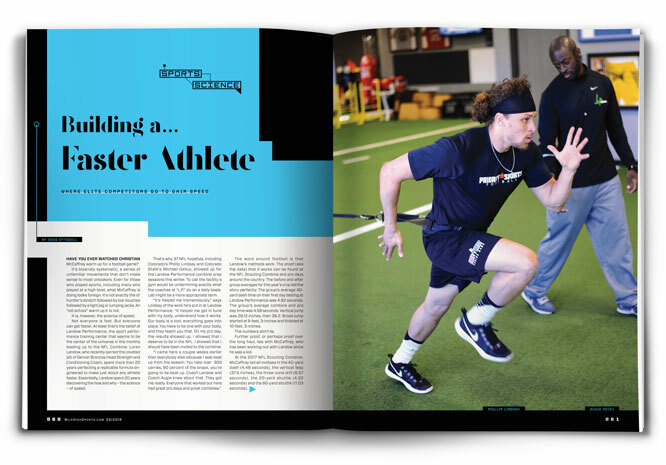 Essentially, Landow spent 20 years discovering the how and why – the science – of speed. 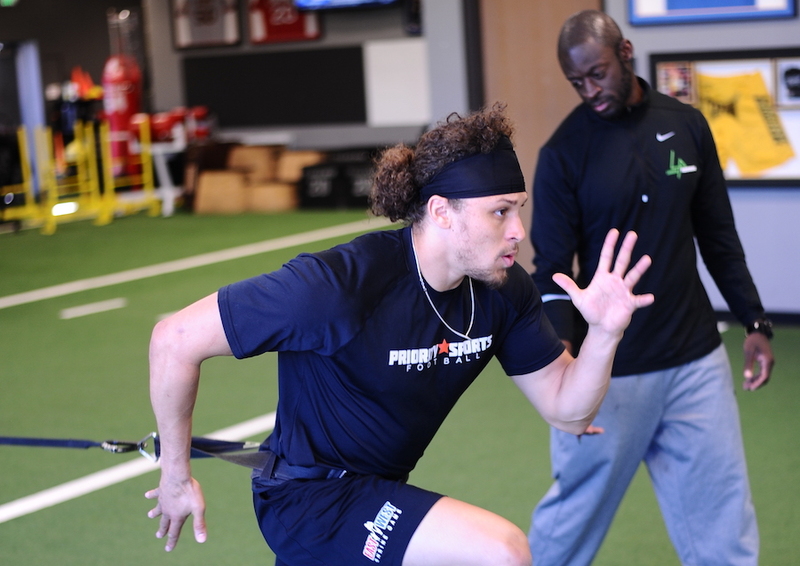 That’s why 37 NFL hopefuls, including Colorado’s Phillip Lindsay and Colorado State’s Michael Gallup, showed up for the Landow Performance combine prep sessions this winter. To call the facility a gym would be undermining exactly what the coaches at “L.P.” do on a daily basis. ‘Lab’ might be a more appropriate term. “It’s helped me tremendously,” says Lindsey, of the work he’s put in at Landow Performance. “It helped me get in tune with my body, understand how it works.Our body is a tool; everything goes into place. You have to be one with your body, and they teach you that. On my pro day, the results showed up. I showed that I deserve to be in the NFL. I showed that I should have been invited to the combine. The word around football is that Landow’s methods work. The proof (aka, the data) that it works can be found at the NFL Scouting Combine and pro days around the country. The before and after group averages for this year’s crop tell the story perfectly. The group’s average 40-yard dash time on their first day testing at Landow Performance was 4.92 seconds. The group’s average combine and pro day time was 4.56 seconds. Vertical jump was 28.12 inches, then 36.2. Broad jump started at 9-feet, 3-inches and finished at 1-feet, 3-inches. The numbers don’t lie. Further proof, or perhaps proof over the long haul, lies with McCaffrey, who has been working out with Landow since he as a kid. In the 2017 NFL Scouting Combine, McCaffrey led all invitees in the 40-yard dash (4.48 seconds), the vertical leap (37.5 inches), the three-cone drill (6.57 seconds), the 20-yard shuttle (4.22 seconds) and the 60-yard shuttle (11.03 seconds). The other “less-discussed” goal (and byproduct) of Landow’s methods is injury prevention. As much as proper alignment and mechanics help to make the body faster, those things are critical in keeping athletes safe, particularly when it comes to soft-tissue injuries. Take McCaffrey, for example. 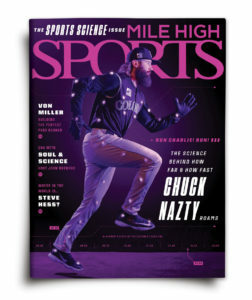 He was a workhorse at Valor Christian High School. He started from the time he was a freshman and played in 55 games over four years. He played not only offense and defense, but special teams as well. He tallied 545 rushing attempts, 144 receptions and 34 punt and kick returns. All told, he amassed a whopping 8,815 all-purpose yards. Despite the workload, he only missed one game as a prep. It was the same story at Stanford. McCaffrey totaled 731 offensive touches over three seasons. He missed just one game, in 2016, with a hip injury. As a rookie with the Carolina Panthers, McCaffrey played in all 16 regular season games and one playoff game. He totaled 123 rushing attempts and 86 pass receptions – plus kick and punt return duty. McCaffrey didn’t sit out once with injury. Obviously, the Valor Christian product has God-given abilities. Genetically, he’s unquestionably off the charts. But make no mistake, he’s worked incredibly hard – and smart – to become the world-class athlete he is. That work begins, and still takes place, at Landow Performance. In fact, McCaffrey still refers to the coaches at the Centennial-based business as his “mechanics” – when something feels off, he goes back to the shop so they can fix it. And they do. Augie Agyei, a Sports Performance Coach at Landow Performance, says that everything – and he means everything – begins with the warm up. Yes, that same warm up McCaffrey performs before every game and practice. The basic idea is to open up the body – the hips, trunk, chest and shoulders – and to begin to achieve maximum range of motion across the entire body. Doing this, all through the warm up, allows a coach like Agyei to get them in the optimal body positioning for sprinting. The warm up allows the trained observers at Landow Performance to identify where and how badly. “Any athlete we work with does this,” assures Agyei. “There are so many benefits. It’s designed to open up any range of motion that’s limited. It’s like turning the lights on in the house. The coaches at L.P. stress three key components they call “The Three Ps” – Posture, Positioning and Projection. If any of the “Three Ps” is off, rest days are used to work on soft tissue through a variety of methods, some of which are handled in house, others are outsourced. Agyei will also use what he calls “The Wall Drill” to build perfect mechanics within the sprinting motion. The Wall Drill teaches the athlete to punch the foot forward then drive it back to the ground, all within the optimal range and alignment. It seems simple, but it is the very basis of each step within a sprint. It starts with an odd-looking warm up, one that’s repeated time and time again. Observations are made, followed by corrections. Video is regularly used, as plenty of athletes are “visual learners.” The end result is a stronger, healthier, faster athlete. That’s really the only goal in sight at Landow Performance.